Here’s a sweet but not too heavy dessert soup that can be enjoyed cold or at room temperature. 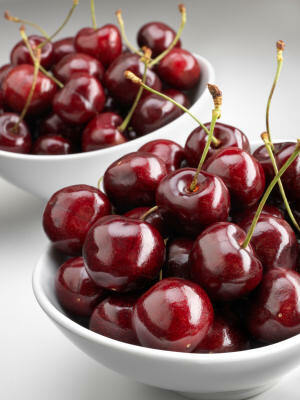 1) Combine cherries, water, sugar, lemon, and cinnamon in a medium saucepan. Bring to a heat over medium heat; reduce to a simmer and cook 5 minutes. 2) Dissolve cornstarch in wine in a small bowl; add to soup mixture and stir well. Cook over low heat, stirring occasionally, until thickened, about 10 minutes. 3) Chill mixture 30 minutes. Transfer to a food processor and blend until smooth. Chill and serve.